Nicole Brown Simpson had been divorced from O.J. Simpson for two years at the time she was murdered. She and her friend Ronald Goldman were murdered by a person or persons unknown in her own house, in Brentwood, Los Angeles. Suspicion immediately fell on her ex-husband, for a number of reasons: he had not contested her claims of spousal abuse in their divorce proceedings; he fled from police when they attempted to bring him in for questioning; his car contained what appeared to be preparations to flee the country; he made confused statements in court and to the media, some of which were interpreted as confessions. He was eventually found not guilty of the murders, as he had pled at his arraignment. But that didn’t stop him from writing a bestseller entitled If I Did It some years later. Whether he is guilty of murder or not, he is at very least clearly guilty of colossal chutzpah. 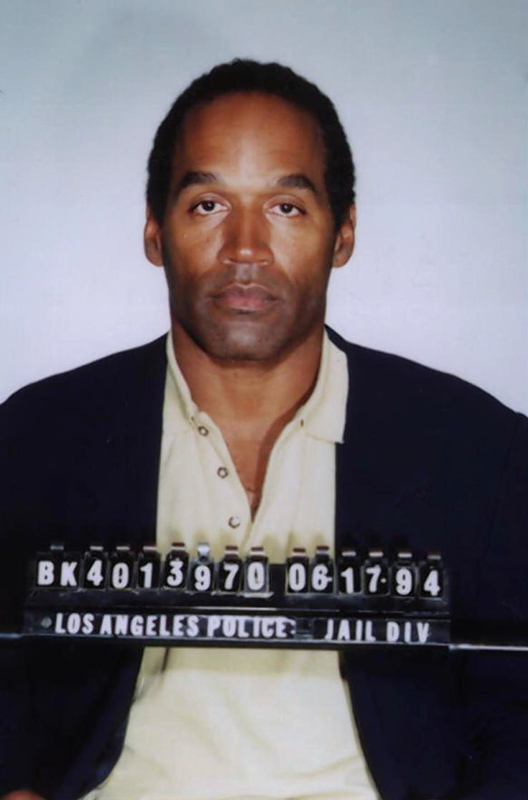 Tagged 1994, 50 Cent, Jun 12, Nicole Brown Simpson, O.J., OJ, OJ Simpson, Ronald Goldman, Young Jeezy.